New York, NY (Top40 Charts) Southern Hip-Hop group I4NI are gearing up for the release of their upcoming new album "Loyalty" on July 20th via Thirteen Skulls Entertainment. The group has launched a pre-order for the album at http://smarturl.it/I4NILoyalty and a brand new video for the track "Larry Bird" online at https://youtu.be/_KySY8vKZPA. The song is a tribute to NBA Hall of Fame legend Larry Bird from the Boston Celtics, and the video is a spoof of the feature film The Longest Yard, where prisoners take on the guards in a game of basketball. 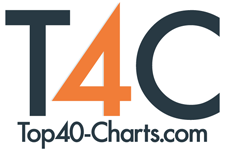 I4NI continue to perform as primary players in the rock/country rap scene from their production credits for chart-toppers like Big Smo, the Moonshine Bandits, and The LACS. If the members don't have their heads in the studio creating the music, their production company Dammit Boy Entertainment is crafting the vision behind music videos for Big Smo, Bubba Sparxxx, and Lenny Cooper all which have generated millions of plays online. I4NI is the story of rising above the odds and smashing stereotypes about the merger of rock, and rap and their ability to coexist. Collectively, I4NI has quietly amassed millions of views on YouTube, and the group scored one of the best-selling singles on the "Mud Digger" compilation series with "When I'm Gone" featuring Bubba Sparxxx. The single earned I4NI a whole new group of fans, while the song has racked up more than 2 million views on YouTube and another million spins on Spotify. Thirteen Skulls Entertainment was founded by music industry veteran Ron A. Spaulding and Major League Baseball Hall of Famer Frank Thomas and is in partnership with AMPED Distribution/Alliance Entertainment. Thirteen Skulls Entertainment focuses on the "AmeriFlow" genre, which is a musical hybrid of country, rap, and rock. The label provides a full range of services in the fast-changing music business and offers artists home with the necessary tools to nurture and incubate creativity without constraints. Focuses on creating AUTHENTIC music, Thirteen Skulls Entertainment's legacy will be defined by creativity and uncompromising commitment to artistry.